Try Continuous Ink System with your Brother DCP-195C and make 30 times more quality prints for the same money! Pay only 0.04 USD for A-4 full color print! What is CISS and what for it is applied? Continuous ink supply system ciss brother DCP-195C is an additional equipment for inkjet printers, which is installed on the printing device instead of the standard cartridges. It reduces expenses on consumable materials significantly. Due to ciss DCP-195C the maximal level of financial economy can be reached, because the necessity of regular purchasing of expensive original cartridges is eliminated. The total ink volume in reservoirs of this system exceeds the capacity of cartridges in five times on average. The usage of alternative compatible photo paper for inkjet printing will allow to reduce expenses on consumable materials till the minimal level. If you use cis brother DCP-195C you will reach an extra stability of color printing in most cases, because there is no necessity to take the cartridge out of the printer for refilling or for chip resetting. That is why the air penetration to the printing head and ink outflow can be avoided. If you install this system and fill it with ink once, you will just have to add ink to the donor tanks. 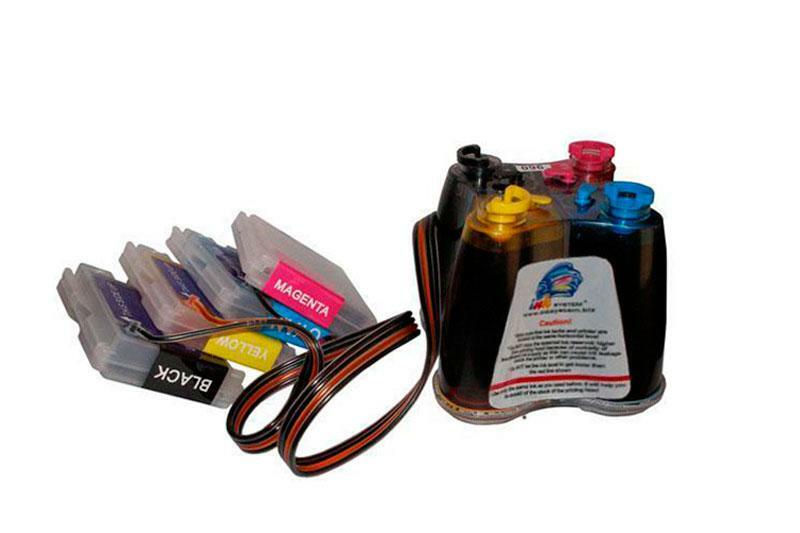 Such ink supply system perfectly fits for frequent inkjet printing of qualitative and inexpensive color photos and texts. It can be used almost with any model of inkjet printers, which have built-in printing head, because the operating resource of the head with such design is almost unlimited. Such models of CISS as ciss for brother DCP-J125 and ciss for brother DCP-J315W also meet these requirements. the necessity of regular purchasing of new cartridges and wasting time is eliminated (for example, if you have to print something in the evening urgently and your printer informs you, that you should "change consumed ink cartridge"). for fulfillment of standard procedure of cartridge replacement imitation, in the moment, when the printer needs to "change consumed ink cartridge", you should just to push the "reset" button, which is located on the cartridge block of ink supply system. by using CISS for DCP-195C, you can always carry out visual monitoring of ink level in the reservoirs of the system. When it is consumed, you will able to add appropriate ink to the reservoirs without any problems. the quantity of every ink color in bulk ink system for brother DCP-195C is about 80 gram, this amount exceeds the ink volume of standard original cartridge (the capacity of which is 7-15 gram). by using continuous ink supply, you will get an excellent quality of printed photos for sure.